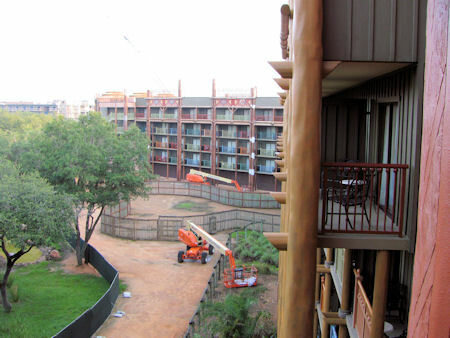 Below is the view from the balcony of Room 5209 at Disney's Animal Kingdom Villas. 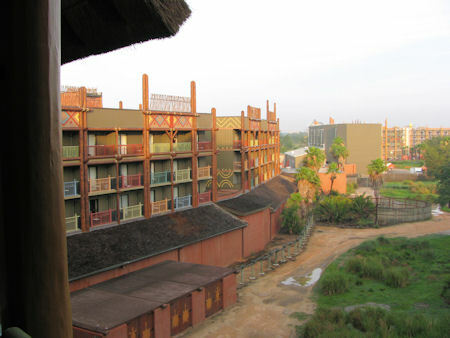 Room 5209 is a lock-off studio located in Jambo House on the fifth floor, with a connecting doorway to Room 5208 (a one bedroom). The view looks towards the Sunset Savanna. 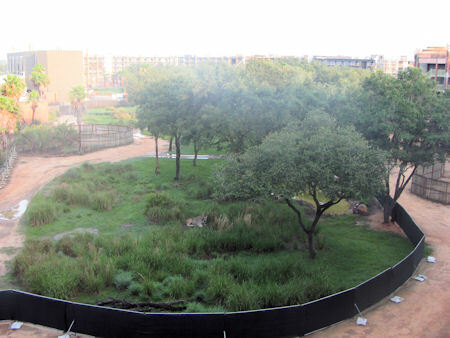 Due to painting, part of the savanna is blocked off. 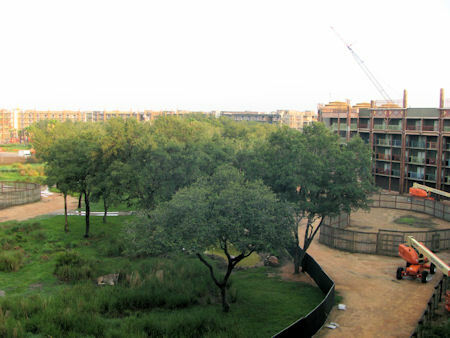 You can see the construction of the Kidani Village.